The Academy of European Law (AEL) is issuing a call for papers for a conference on EU equality law to be held at the European University Institute in Florence, Italy on 10-11 October 2019. The call is part of a new AEL project titled: Equality Law in Europe: A New Generation, which aims to provide researchers and the general public with new tools to analyse recent developments in EU anti-discrimination law. A central component of the project involves the development and maintenance of datasets that code all cases decided by the CJEU involving allegations of discrimination on the grounds of gender, age, race, disability, religion, sexual orientation and ethnicity. The datasets cover all cases from 1971-2018, and will be continually updated as new cases are published by the Court. Proposals that engage with questions raised by analysing the Equality Law in Europe: A New Generation datasets will be given priority in the selection process. Proposals from researchers at all stages in their academic careers are welcome, as are joint applications. Should you have any questions, please contact Jeffrey Miller ([email protected]). 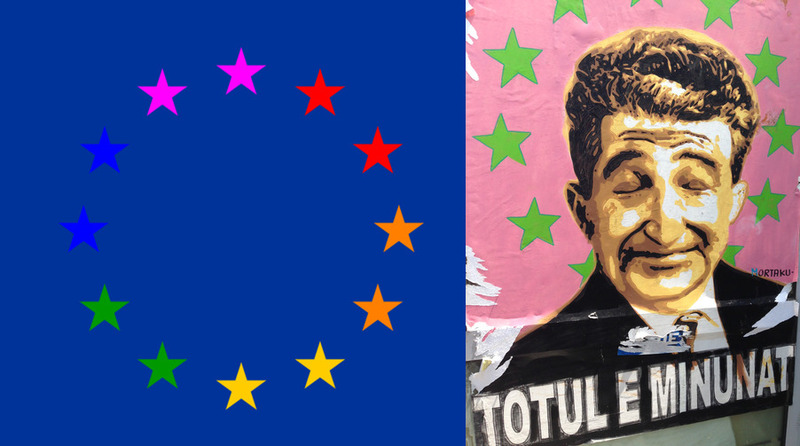 Image: Reimagined EU flag and street art Bucharest, Romania 2016 “Everything is mine” (public domain and H. Eklund).